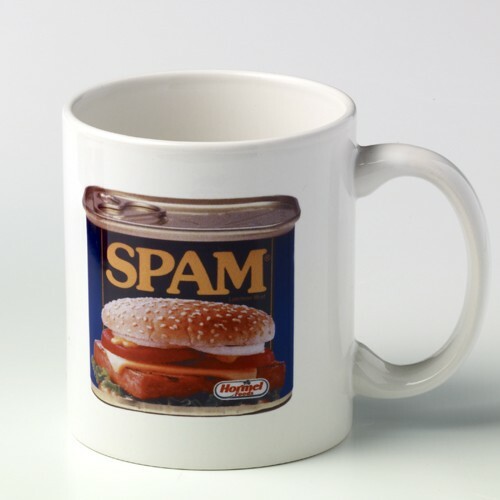 White ceramic mug with full color SPAM® can on both sides. *Additional shipping charges will be added to ship this glassware item. ***We are unable to ship this item to California.